Edinburgh City will groundshare with capital rivals Spartans for the next three seasons, the League Two club have confirmed. With Meadowbank Stadium due to be redeveloped this year, City’s inaugural season in SPFL League Two will be their last in the Commonwealth Stadium as it is today. The club have been based in east Edinburgh since taking up tendency of Meadowbank in 1995 following Livingston’s move to Almondvale. Talks between City and the Lowland League outfit had been ongoing over the possibility of Gary Jardine’s team using Ainslie Park while work on Meadowbank is carried out. 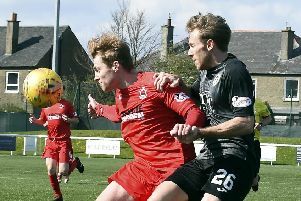 An agreement to make the four-mile switch to north Edinburgh has now been announced, subject to SPFL board and Scottish Lowland Football League approval.